One evening, I was watching a Forensic Files episode that utilized diatoms as a forensic application to link the suspects to the crime scene. In awe of the beauty of diatoms, I interacted with Dr. James Wee and we started discussing the literature. This led to my undergraduate research project assessing periphyton accumulation on human hair as a model for determining the postmortem submersion interval (PMSI). 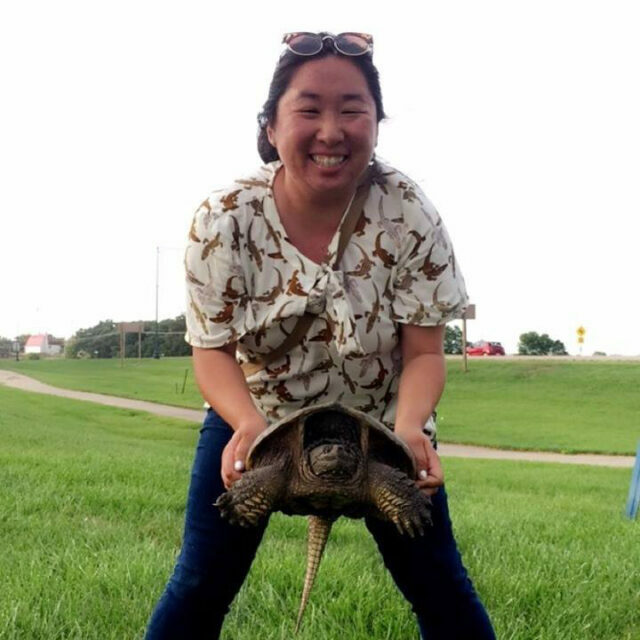 For my master’s research, I worked with Dr. Elizabeth Bergey investigating diatom assemblages on freshwater turtles. I have shifted my focus to science education and enjoy bringing diatom outreach to K-12 and the general public.